These statues were not liked by Angie : ). According to legend, Siena was founded by Senius, son of Remus, who was in turn the brother of Romulus, after whom Rome was named. 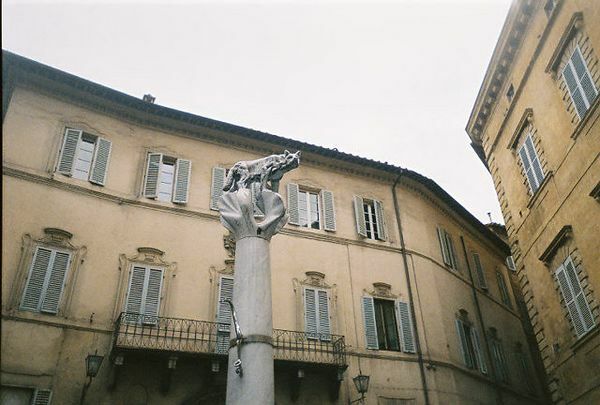 Statues and other artwork depicting a she-wolf suckling the young twins Romulus and Remus can be seen all over the city of Siena.